They call him “Cip.” Musician Gene Cipriano needs no introduction in the Los Angeles recording business, but is probably not known beyond the studio setting. It is also very rare that “anonymous studio players” are ever honored by their own colleagues. “First Time Out” is an ambitious production from the industry’s finest musicians, arrangers and technicians. The 2-CD set captures the genuine sound and style of a music legend that experienced first-hand the golden age of swing and big bands. These CDs offer a rare opportunity to hear that 20th century authenticity, recorded with the most advanced technology. 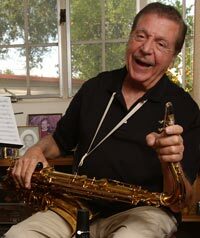 Cipriano’s outstanding performances and versatility on a variety of reed instruments including saxophones, clarinet, oboe, English horn, flutes and recorders -- began during the Big Band era. His career then extended into television, records, motion pictures, and all Academy Award Shows. This type of lifetime success is rare in the recording industry. The idea behind “First Time Out” is to have a permanent record of Cip’s playing that can be heard by aspiring musicians, the public at large -- and those already in the music business. “This was a labor of love. Everyone wanted to be involved in the project,” says Tom Ranier -- keyboard player, composer, arranger and co-producer of the CD. Taking matters into their own hands, Tom and Bill formed a record label, calling it Vino Rosso Records. Their first release, “First Time Out” showcases Cip’s exceptional talents, performing on 20 well-known American standards in the style of Jazz quartets, Big Band and Swing. These remarkable recordings were accomplished over a two-day period at famed Capitol Recording Studios in Hollywood, California. If you visit any recording studio in Los Angeles -- or elsewhere -- when the name “Gene Cipriano” is mentioned, musicians will comment that they have been indeed fortunate to know him. He is an inspiration, dedicated colleague, good friend and great musician. 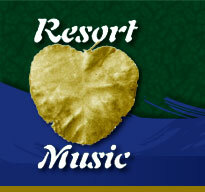 For more information and to purchase “First Time Out,” please contact Resort Music and Vino Rosso Records at 800.648.4042, and visit our website at www.genecipriano.com.